Serious networking and sharing business ideas and innovations have become important today in the digital world. LinkedIn is the most efficient professional networking platform. You can create your online resume and showcase your skills and achievements, search and create connections, search for jobs and join professional LinkedIn groups to get constant updates on the industry, have chats and discussions with fellow group members. It has made sharing professional and important information very convenient. As there are so many users of LinkedIn, institutions should make sure that they upload information and details such as course rankings, faculty information, events and clubs that may attract the students, who are concerned about their career and are active networkers. It also gives potential students to get in touch with the alumni to learn about their journey and experiences. 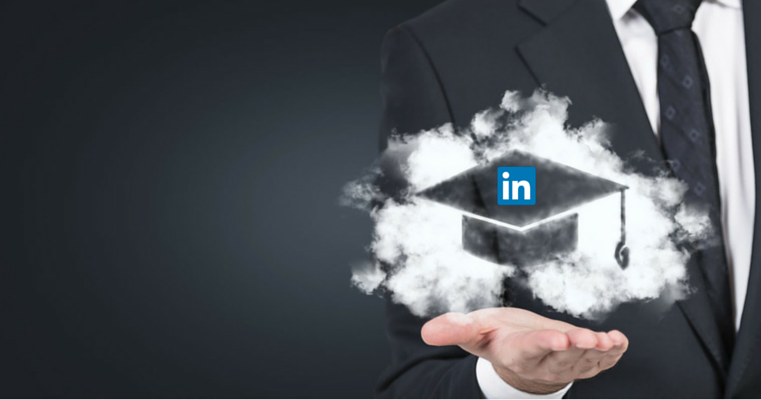 As LinkedIn is a professional networking site, it is a great medium to reach out to potential faculty or guest faculty for your institute. It is important to provide appropriate information such as academic information, existing faculty, faculty perks, course rankings, faculty participation, events etc. Institutions can advertise their famous programs or courses on the homepage of each LinkedIn member, whom they think is their potential target market with the help of marketing analytics. These ads are paid, but it gets you highlighted on the top of their feeds and that may encourage the audience to open the link and have a look at the course description, and you never know if they get interested and apply for the program! Highlighting and posting about student and faculty achievements or publications would attract the audience, as potential students or faculty would like to know about what the students and the faculty are doing in their field of study and what’s their success ratio. By this, the institution can also highlight their resources which they provide to the students or faculty to reach such a height. This also encourages the students to do better and try new things during their study experience. Institutions can make sure that students have a good time at the university so that they could provide the institutions with positive feedback about their study experience. This increases the institution’s credibility and engages students in a discussion. This would keep constant activity on the page as students’ like to have suggestions and information before taking a decision. A really huge benefit for institutions is that they can monitor and check the background of any student or faculty, who have shown interest in the institution. In order to do this, the institutions can go through one’s profile, have a look at their online resume, references, skills and also ask the previous organizations for one’s details and feedback. Institutions can showcase their credibility online by showcasing their statistics related to the population in the university, diversity among their student crowd, industries in which their alumni are working, major recruiting companies etc. It is also very important to provide the audience with employment statistics. It is one of the major deciding factors for a student. It is really important for any institution to keep in touch with its alumni. It’s a great way to keep the alumni informed about the progress and updates. The institutions can also initiate the alumni to add them in alumni university affiliation. It also very beneficial for the institution to get in touch with their international alumni. It gives a sense of diversity. One can also ask the international alumni to be their brand ambassadors. This would help them get featured on institution’s alumni page and this increases their credibility. It is important to have constant activity on a page to gather the interest of the audience. Institutions can post about their alumni, current students or faculty members who are working in or studying about particular industries or companies which may attract the audience’s attention. An institution should highlight other important activities apart from studies such as events held by current student boards, guest lectures, cultural fests, alumni meet, company and industry visits, study abroad etc. This helps in attracting the attention of potential students. For a student overall exposure matters, a lot and these posts would help a student to understand about institution’s activities and help them take a better decision. As there are a lot of benefits of using LinkedIn today, I would like to know about your understanding of the topic? Feel free to comment on the above-mentioned strategies, and I would like to hear about more innovative strategies that an educational institution can use or adapt to gain a competitive edge.